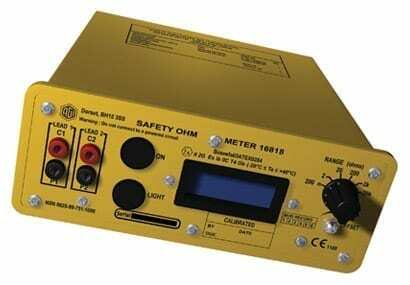 The 1681B portable safety ohm meter is intrinsically safe and has been designed to measure electrical bonding on aircraft. It measures resistance over six ranges from 1mΩ to 20kΩ with a 3½ digit LCD display. The display is backlit enabling it to be clearly visible in dimly lit environments such as aircraft hangars. 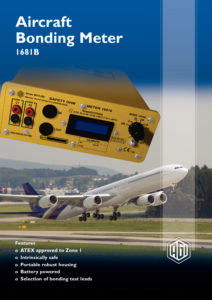 Designed to operate in hazardous areas such as aircraft fuel tanks, it carries an 11 2G EEx ib 11C T4 approval certificate.